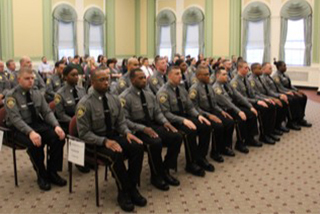 The Judicial Branch's newest judicial marshals. 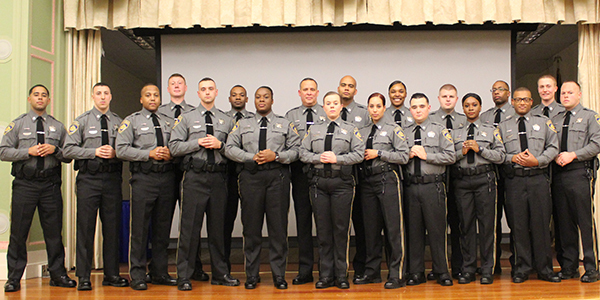 Judicial Marshal Trainees successfully completed the Judicial Marshal Academy pre-service education and training program. 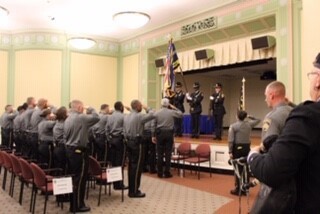 A salute from the Judicial Branch’s newest Judicial Marshals. 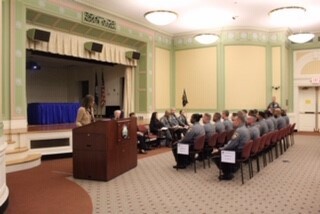 Superior Court Operations Executive Director Tais C. Ericson addresses the new Judicial Marshals. 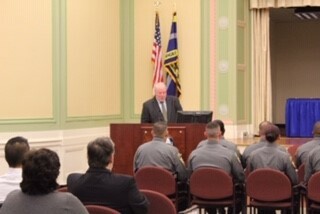 Chief Court Administrator Patrick L. Carroll III welcomes the new Judicial Marshals. 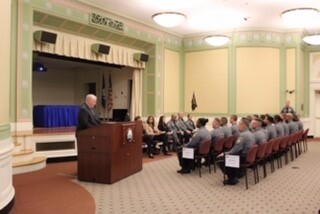 Chief Court Patrick L. Carroll III congratulates the new Judicial Marshals and notes the importance of being a public servant. 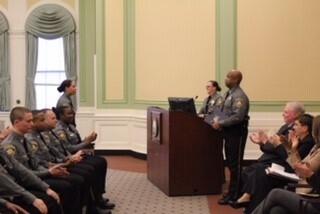 Judicial Marshal Services Director O’Donovan Murphy recognizes a new Judicial Marshal for leadership.